It’s been a week since I brought my new iPhone X and now I am facing critical situations while using FaceTime. Sometimes my iPhone X frozen on FaceTime, FaceTime camera not working on iPhone X, iPhone X locks on FaceTime and much more. All these errors are frustrating and act as a roadblock when we need the iPhone most. FaceTime Hanged Up problems found on other models iPhone X Plus, iPhone 9, iPhone 11 iPhone X, iPhone 8, iPhone 8 Plus, iPhone 7, iPhone 7 Plus, iPhone 6S/6S Plus. However, I have got best solutions to fix iPhone X freezing/hanging on FaceTime and tried itself on my iPhone X and resolved FaceTime not working on iPhone X in minutes. 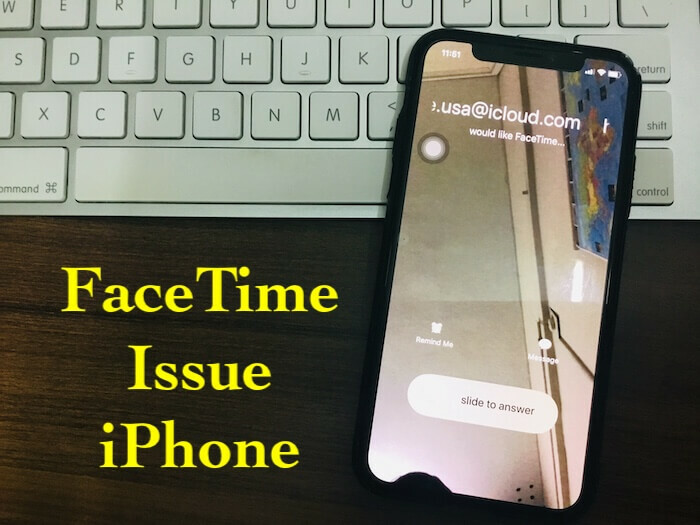 If you want to fix various FaceTime errors on iPhone X, then read this article and get rid of annoying failures while using FaceTime. Are you trouble with FaceTime issues in iOS 12 on iPhone X, iPhone 8, iPhone 8 Plus. Other Symptoms that fix with below solutions: iPhone Stuck on Calling. Sometimes iPhone stuck on FaceTime ending. FaceTime Call Screen Stuck and unresponsive to touch. Frozen iPhone during FaceTime Video call, This settings is useless and can’t get help. Go with the next steps for Hard Restart and reboot your iPhone. We will start with the very simple solution to fix iPhone X freezing on FaceTime calls. Step #1: Go to “Settings” on your iPhone X. Step #3: Finally, tap on “Shut Down” > “Slide To Power Off“. Wait for 1 to 2 minutes and Use Side button to turn it on again. If normal restart doesn’t work for you, then try this force restart method which will help your iPhone to overcome minor software issues. Step #1: Press and release the “Volume Up key“. Step #2: Press and release the “Volume Down key“. Step #3: Lastly, “hold down the Side button” until you didn’t see the Apple logo. Apple Release new firmware update in short duration. I would suggest you check once in every month. Otherwise, you can enable automatic software update from settings. Go to the “Settings” > “General” > “Software Update” [Check for Update]. That’s it. Too many processes run parallel on your iPhone make freeze or unresponsive to touch. I recommend to free up storage and give big room to process to run big app and process. When none of the solutions works for us, then our last option is to restore the iPhone. By restoring iPhone X, every single harmful element, as well as necessary files, will be deleted. So if you have decided to go for this option take backup if you don’t want to lose data. 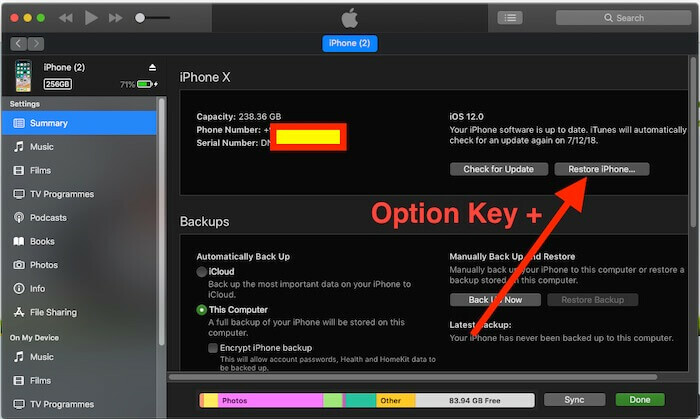 Auto-fix all the internal bug using this steps, First, take a full backup of your iPhone. Now, Erase all the settings and Content of your iPhone from “Settings” > “General” > “Reset” > “Reset All Content and Settings“. Now, Open iTunes on your Mac or PC. Download latest Firmware file of iPhone, iPad and iPod Touch. 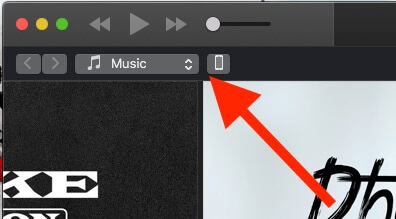 Connect your iPhone to iTunes via lightning cable, in iTunes you will see your iPhone icon. Press “Option key” from your Keyboard on Mac + Click on “Restore iPhone”. Now Browse Downloaded .ipsw file save previously from about link. Open it. Now, Wait for Restore process gets completed. Apple Gives free support for all Apple Device it doesn’t matter your device is under warranty or not. But hardware damage will be a charge for out of warranty. Force restarting iPhone X didn’t work for you? Don’t worry we have more potential solutions to fix iPhone X hanging during FaceTime calls. In this troubleshoot we will disable the FaceTime app and then after few minutes again to enable it. Let’s do it. Step #2: Locate the “FaceTime” app, scroll down you will get it. Go back to the main screen by closing settings. Follow the same above steps and enable FaceTime. FaceTime also available on Mac, Want help for Mac FaceTime issues. By resetting all settings in your iPhone X, all the Preferences and Network settings will be set to by default. So in case if you have made some wrong choice that might be affecting and causing iPhone X freezes at the end of the call, then it will be fixed. Step #3: Tap on “Reset All Settings”. FaceTime Hitting up the back side of the iPhone body near to the camera. It’s natural and own behavior of Apple iPhone. This is old problems that running with new iPhone model and iOS Version as well. To come down the temperature of iPhone’s backside, Remove cover that full overlay body. Or Don’t put your iPhone on charging while you are using your iPhone for the video call or Camera shooting.